One of my greatest pleasures is to stand still in my garden and watch a butterfly slowly drop down to rest on a flower and sip nectar. 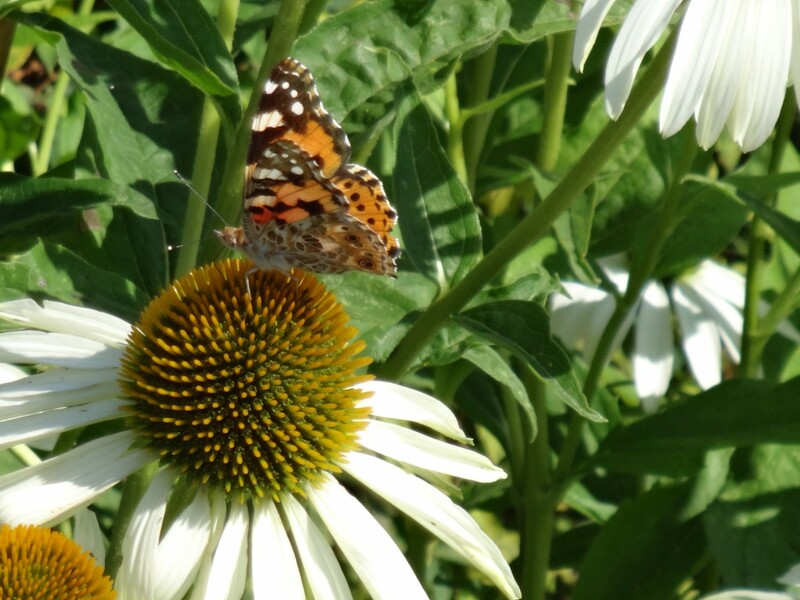 A rich and abundant flower garden can be like a Sunday brunch at the Ritz for a butterfly. 🙂 Well, they seems to enjoy the lunch and fond of the butterfly-attracting blooming plants like Echinacea purpurea ‘Magnus’ and ‘White Swan’, Lavender, Buddleia (The butterfly bush) and Verbena Bonariensis in my garden. 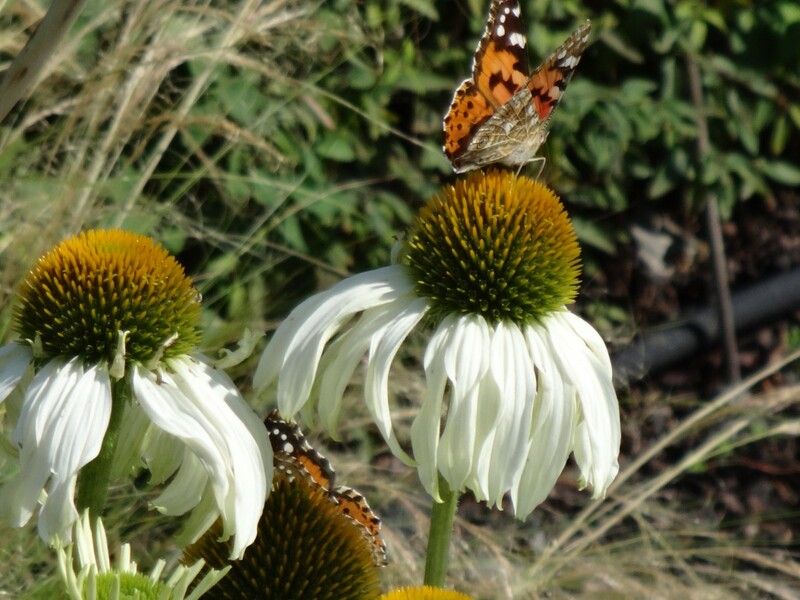 A gardener told me this: Plant a butterfly garden with groups of plants. A group of plants is much easier for the butterflies to find, but it may not happen upon a single flower planted here and there. Butterflies will also appreciate finding a flat rock amongst the plants where they can rest and sun themselves. They’ll also be happy to find a place to get a drink of water. «Piggsveisen» i midten har gitt inspirasjon til det latinske navnet på Purpursolhatt, som er Echinacea. Dette ordet spiller på det greske ordet ekhinos, som betyr pinnsvin og kråkebolle.